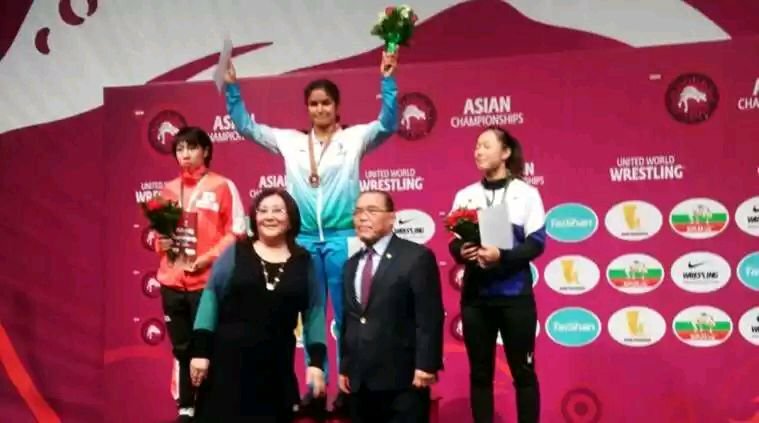 T 2731 - #NavjotKaur first woman from India to win Gold in Asian Wrestling Championships .. Amazing ! many congratulations .. India Booming all over .. JAI HIND !! !